Great gloves plugin, thanks for sharing 1 suggestion though. Many servers such as Surf/Bhop doesn't really matter what team you're on. If you added a cvar sm_disable_teams or something that would skip the team selection menu, and being you to a menu that applied to both teams it would make this plugin perfect. 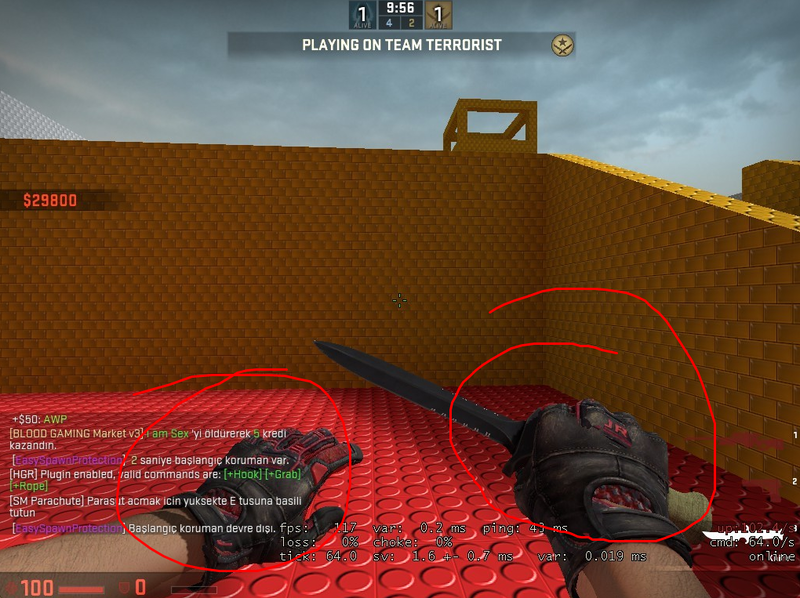 lol i edited out all gloves from my server and forced my custom ones on people. its been like that for long time. How can i do this? " If you are using Custom Player OR Arms Models on your server, you have to modify the plugin that does the model changing, and make it use Gloves_SetArmsModel native function instead. Or your players arms will be invisible if they do not use any gloves. "